I think lashes are one of the most important features we must enhance with make up. Your lashes appearance will define your look no matter if you want to go for a natural or for a smoky eye. Lately, I’ve been testing some products to achieve the perfect eyelashes look, and these are my favourites. The ones that really deliver results. 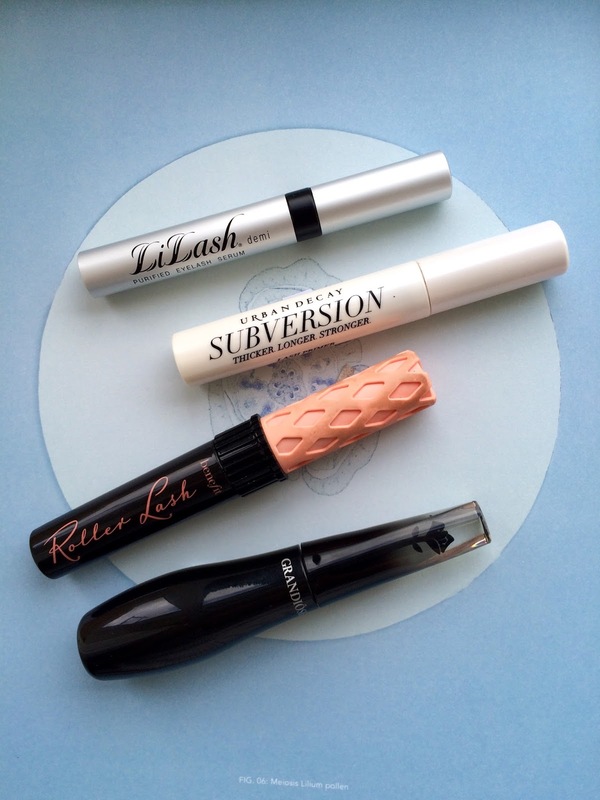 I have been trying out Urban Decay Subversion Lash Primer. It feels like a cream for your lashes and it works to lengthen and volumize them. It has Vitamin E so it treats the lashes on the long run, or so I like to think! Once on it adds weight and gives the mascara something to grab onto. I usually apply it, and let it sit for 2 minutes (while I do my brows), and then go back to my lashes and apply the mascara. Great add on for any (maybe cheaper) mascara you want to use! In order to make my lashes grow I've been using Lilash. A product that I had already tested two years ago (you can see the video I made about it here). I can confidently say that Lilash definitely works and using it consistently for three to four weeks will make your lashes grow. For real. They will also get a bit more curled. I’ve used it once a day as if I was applying an eyeliner on the root of my clean lashes. And with time, I’ve seen them grow two to three mm. Simple, and marvellous as that! Last time I used it, the 2ml tube lasted for around 6 months so it’s worth its price. First one is Roller Lash from Benefit. It has a rubber wand that grabs all the hairs, lifts, and gives them a bit of a curl and the right amount of product. The finished look with this one is separated and elongated lashes. 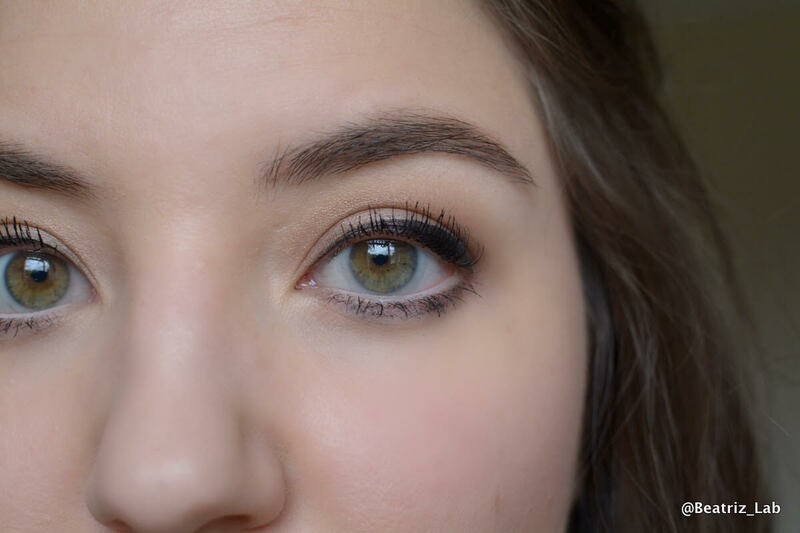 It doesn't smudge during the day and I love it for a natural “long lashes” look. My other favourite and most recent discovery is Grandiôse from Lancôme. It gives real volume and a very dramatic look as it is very dark. The wand is twisted to help with the application, although I’m not sure it helps me that much. I find that I can’t do the zig-zag movement I usually do when applying these products. It’s better to grab the hair on the root and lift it straight up, but the final result is really good! The formula is great, it has never smudged, and I love the full voluminous effect it creates. Both these mascaras are very easy to remove with my usual Garner micellar cleansing water without much rubbing at all. If you want to shop any of this products you can get a 10% discount when you spend more than 35 on FeelUnique.com. Use the code BEA10 at the checkout! I love these four products. I believe my lashes are at its best at the moment! Do you have any favourite when it comes to lashes? Let me know in the comments below!